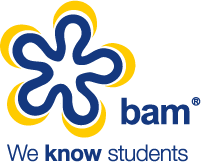 Appointed creative agency HRG entrusted BAM to help plan and deliver Lucozade’s national student sampling campaign. HRG were privy to our expert insight into the market built up over 15 years to help identify the most effective channels for the campaign. BAM understood Lucozade’s need to engage with HE students on their home turf and used our insight and experience to select the top 97 universities by footfall, location and on-campus stores. We were also able to utilise our strong relationships to ensure the efficient placement of the campaign through one central contact. Lucozade handed out more than 250,000 samples. The scope and engaging nature of the campaign resulted in Lucozade being voted by students as one of their top 3 favourite freshers stalls in the UK.